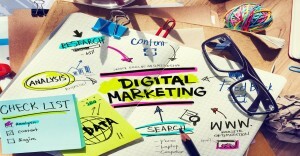 Today the need and challenge of acquiring digital marketing skills are imminent. Get Digital Marketing for fuller understanding of how to correctly manage different digital assets for your marketing development needs. Get Digital Marketing program is designed for those who are seeking to acquire essential digital knowledge and understanding on the rapid developments that are taking place online. Learn how to effectively use digital marketing techniques and tools to grow your company or organization online profile and attraction. Evaluate the importance of your digital marketing assets, which ones actually matter the most to your business. Learn how to effectively use different digital and offline channels to maximize your marketing capabilities. Have a structure to implement a plan, set processes and manage your digital marketing actions, by allocation and shared responsibility of team.Our Digital Marketing workshop gives you the skills and structure to analyse the opportunities and enhancement to enhance and grow your business and brand online. • Analyse existing website purpose, traffic and web development and online advertising opportunity. • Learn how to increase SEO rankings and gain more qualified traffic. • Create engaging content to grow customer interest, increase customer database and interest list. • Build digital assets or upload products/services for online awareness and sales. • Activate better Social Media Marketing actions with monthly plan. • Prepare a Digital Marketing Plan for the year, integrated with offline marketing efforts. • Review Mobile Marketing potential new marketing channel. • Learn how to prepare Mobile app, SMS marketing to connect with customers via their mobile. Prepared as ½ days sessions for each module, to be run as a workshop. Each module is a staged approach. Time commitment for each module is 5 hours contact time and 3-4 hours self-directed reading and review, to be completed in a week. This can be delivered in part with small group or one on one session, either in person or via telephone, follow-up communications are via email and video conference via skype. To commerce, we arrange an initial 1 hour web marketing capability discussion, provide assessment handouts and action task for your business to complete in a time frame of 1 week. I work as an executive assistant at a busy investment office that helps to manage a broad range of business. Over the past 15 years I have dabbled in sales, marketing and brand engagement but with no training. I was recently put in charge of the digital and online marketing for a few of the Business we help to manage and wanted some training on the best means to engage our customers. I enrolled in all 4 modules ‘Get Digital Marketing’ with Rosalina from Revive Me marketing. This is a great mid-entry level digital marketing course. The content touches on many of the basic aspects and tools used for digital marketing as well as providing insights into SEO rankings, building digital assists and preparing an integrated marketing plan. I found Rosalina to be a great sounding board as well as helping with creative brain storms. I think it would be helpful to anyone doing this course to first familiarise yourself with some of the online basics such as Facebook, Linkedin, Mailchimp, Twitter and in particular google analytics. The course for me was valuable and a good size/scale to fit in with a busy workload. Rosalina was very accommodating when working in with my schedule. Helena Williams- Chillaxing. Why content marketing is critical to SMEs?